If you look in the Concise Oxford Dictionary of current English, you will find that the word “synergetics” does not appear there. However, the dictionary does contain the term synergy which is interpreted as “a combined effect of drags, organs, etc. that exceeds the sum of their individual effects” and is derived from the Greek synergos, working together. 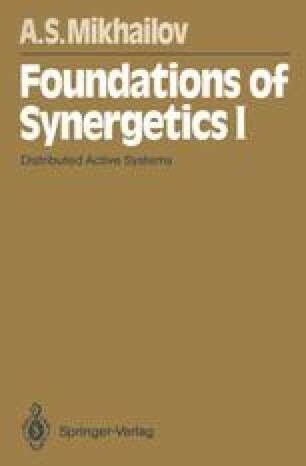 Synergetics, as a separate interdisciplinary research direction, was introduced only about two decades ago by H. Haken [1.1,2] who had noticed profound similarities between the fundamental mathematical models which are used to describe the cooperative behavior of active systems in physics, chemistry, biology, and social sciences.